You can achieve this beautiful look with our Indique Perfect 10 Clip-Ins in 14" inches or our Organic Curl from our Bounce Collection In 14" inches. Also, don't forget to keep these curls looking hydrated, you can use our Argan Oil with a little water in a spray bottle to keep this look beautiful all day long! 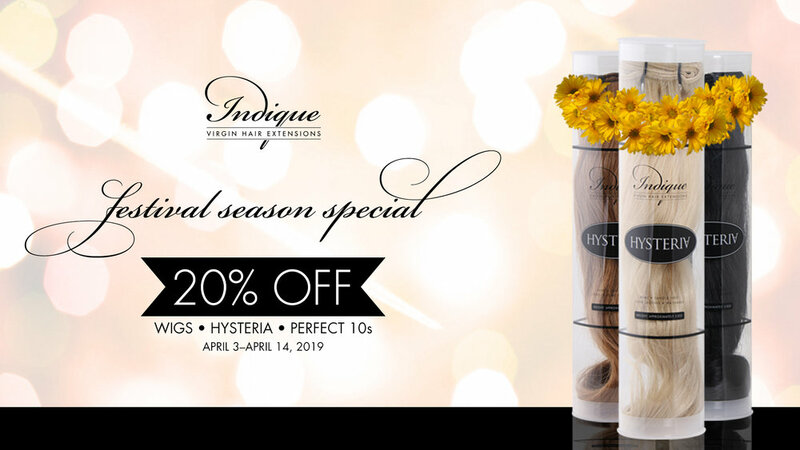 From April 3, 2019- April 14, 2019, enjoy 20% off our Pure Wavy & Curly Wigs, Studio Collection Perfect 10s (clip-ins), and our Hysteria Collection, just in time for Festival Season! Click below to shop!